In the morning, Atlas wakes to the smell of bacon and biscuits. He lets his nose lead him to the kitchen, where he finds Mary and Max cooking breakfast, one of them at the stove while the other chops and prepares vegetables at the counter. Jordan, at work on one of his inventions in the living room, has replaced his neon pink underwear with Spiderman boxers. There’s black marker on his face and a bit of toothpaste in his hair, but Atlas decides it’s better not to mention it. “My what?” He scans the first few lines of the list that Mary printed on a thick sheet of resume paper and can’t stop his jaw from dropping as he reads. “I thought this was supposed to be my summer vacation,” he says as he reads the rest of the list. The pile has an itinerary with each of their names on a sheet, though Jordan’s seems to consist of “10:00AM-5:00PM Research.” Atlas is tempted to add “Buy Pants” in the white space, but abstains. Unlike the living room (aka the workshop), the kitchen is spotless other than the disarray caused by Mary’s cooking. A two-person kitchen nook in the corner has fresh long-stemmed roses in a vase and freshly wiped green placemats. Photographs of the three of them on various cross-country adventures cover the refrigerator the way they would fit in a scrapbook, including tiny flower magnets holding them up. A wine rack in the corner sports expensive Italian labels. 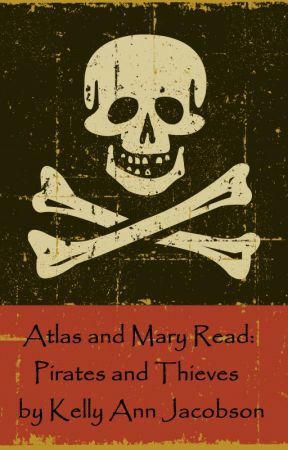 Atlas doesn’t need to ask who’s responsible for the little slice of sanity amidst an otherwise disastrous apartment, since Jordan doesn’t even know where his head is and Mary creates a whirlwind of mess everywhere she steps. Max and Mary grab the silverware and plates and follow Atlas to the table. “Earth to Jordan,” Max yells in Jordan’s ear on the way out, but Jordan waves Max off like a pesky fly and continues with his work.